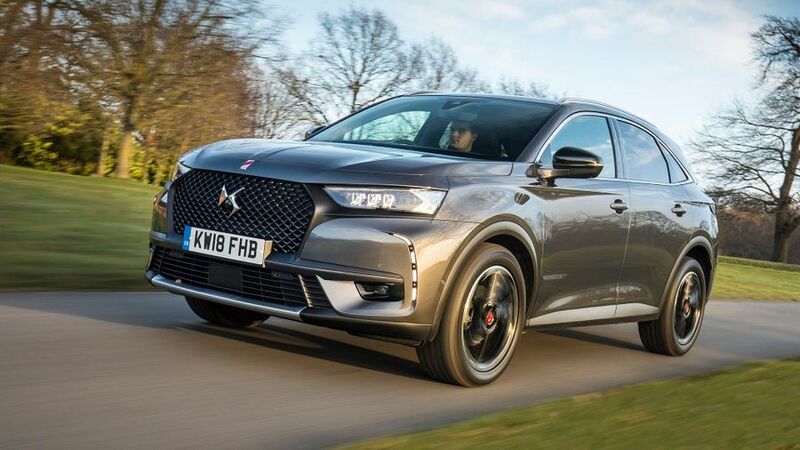 The DS 7 Crossback is a quietly appealing choice in the premium SUV market, and can be had with unusual technology, including road-reading suspension, a night vision camera and headlights that adapt to suit the conditions. It’s also very well finished. However, the diesels are a bit noisy and unresponsive in automatic form, rear legroom is limited, the ride quality is unremarkable and the pricing a bit high for a relatively unknown brand. If you’re not diesel-averse, this version provides a good blend of effortless performance and economy, and decent equipment. The best economy, decent performance, and likely to hold its value better than the entry model. It’s the least expensive, but missing several vital pieces of equipment.  Interested in buying a DS 7 Crossback? The overall design of the DS 7 Crossback isn’t especially distinctive, but most versions have some nice touches, such as pleasingly detailed LED head- and taillights, the former of which do a cool little dance when you unlock the car. 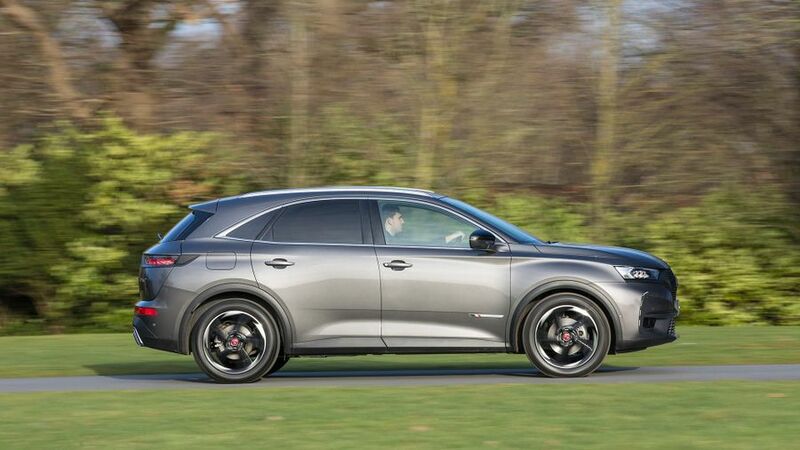 All DS 7s come with alloy wheels, and all versions except the Elegance provide roof rails. A panoramic, part-opening glass roof is optional. All DS 7s are well finished inside, with attractive trim and some swanky details, and all but the Elegance also feel pretty high-tech thanks to their large touch-screens and digital instruments. As a result, DS’s attempts to create an upmarket interior ambience for the DS 7 are effective for the most part, although the diamond-shaped instruments on the digital dashboard are a little odd. More disappointing, however, is that the interior can only be had in black. Despite being a little longer than some of its competitors, the DS 7’s rear legroom is not particularly generous. Head and shoulder space are more than adequate, however, and there’s enough space for a middle-seat passenger if everyone is prepared to get cosy. There’s plenty of space in the front and generous storage, too, with all versions except the cheapest Elegance getting a deep bin beneath the centre armrest. All versions get four cup-holders and four door bins, as well as a lidded tray ahead of the gearlever that provides a USB socket. The boot is about par-for-the-course on size when compared with rivals, but it’s disappointing that the electrically opening tailgate is standard only on the priciest Ultra Prestige version of the DS 7. 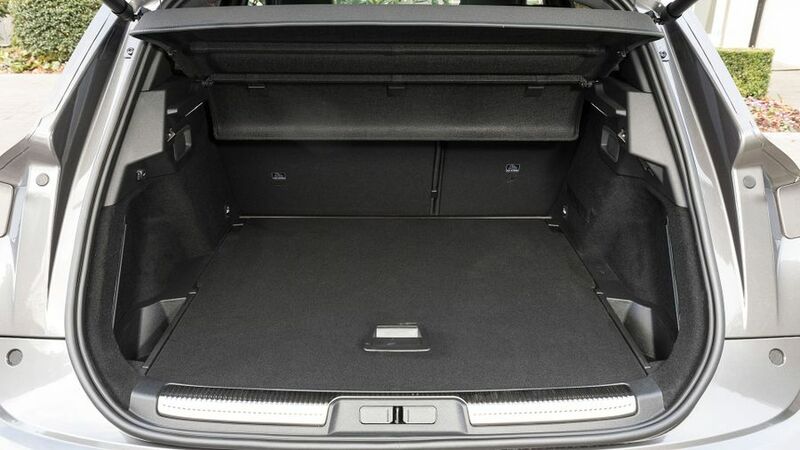 The two least expensive models provide a ski-storage hatch in the rear seat, but this feature incompatible with the electrically reclining rear backrests of the Prestige and Ultra Prestige, which also come with a two-position boot floor. While many SUVs provide a comfortable ride, the DS 7’s is quite firm, and that means that the car’s ability to absorb bumps is less impressive than it should be. This criticism applies less to models fitted with Active Scan Suspension. Choosing the comfort mode via a rocker switch on the centre console is a fiddly process, but it enables the car to absorb small bumps better. 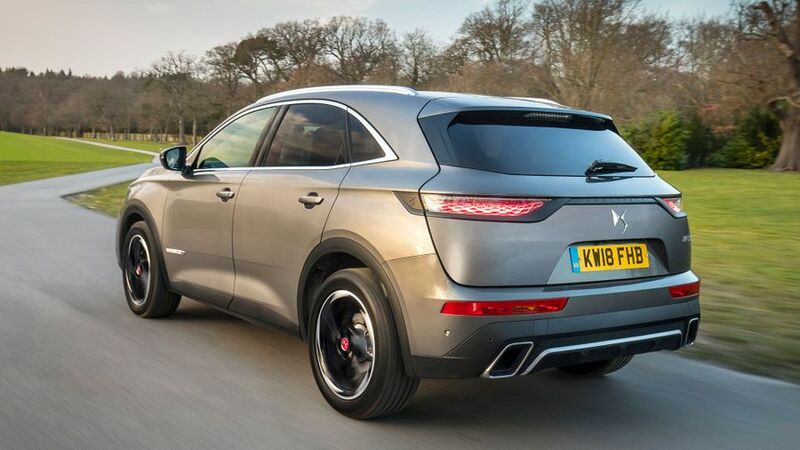 The firmness of the suspension does mean that corners are dealt with tidily enough, with limited body roll and decent grip, despite the DS 7 only having front-wheel drive. The suspension operates very quietly, too, but the diesel engines are rather clattery until you reach cruising speeds. Initially the DS 7 is available with a choice of three engines: two diesels with 130 and 180 horsepower, and a 225 horsepower petrol. All come with an eight-speed automatic gearbox as standard, except the less powerful diesel, which comes with a six-speed manual. This version provides more than adequate acceleration, its manual gearbox is reasonably slick. Those after more performance and still-decent economy should consider the more powerful diesel, which reaches 62mph from a standstill around a second and a half quicker. The automatic ‘box changes gear very smoothly, but the pause when you move off can be frustrating in cut-and-thrust traffic. Both the diesels are noisier than they ought to be, although their rattlings fade at speed. We’ve yet to try the petrol, which is the swiftest version, and is likely to be quieter than the diesels. Given that DS Automobiles is a far from established competitor to Audi, BMW, Land Rover and Mercedes, the prices for the DS 7 look unlikely to persuade an owner of a rival to jump ship on the basis of value. It costs a bit less than its premium rivals, but the gap isn’t huge, and all the rivals include four-wheel drive in their prices, while the DS only has front-wheel drive. The car’s efficiency figures are about par for the course and - perhaps surprisingly – so are resale values, so the DS 7 shouldn’t cost you any more to run long-term than its rivals will. This is a new model from a relatively new brand (DS Automobiles developed out of Citroen in 2014), so reliability is hard to determine. 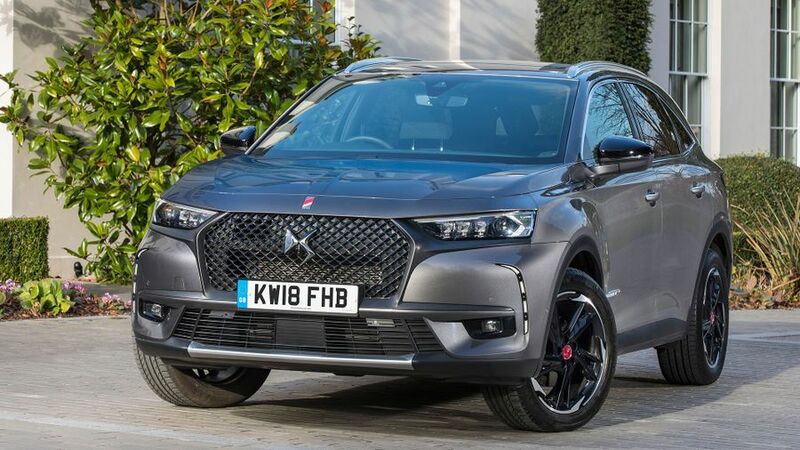 Sister brands Peugeot and Citroen feature in the lower half of some reliability surveys, and while DS Automobiles claims to be applying more stringent quality standards, the DS 7 is one of the most complex models it makes. The warranty is for three years and unlimited mileage – far less generous than Kia’s seven-year warranty – although DS promises exceptional levels of service. There’s no Euro NCAP crash rating for this model yet, but given parent company PSA’s record, we expect a very good rating. Standard electronic driving aids include lane departure warning, driver attention warning and automatic emergency braking, while the top two trim levels build on this with lane-keeping technology and more. You also have the option of night vision technology, which provides warnings of pedestrians, animals and obstacles after dark, as well as an enhanced view of the road ahead via the instrument cluster. The entry-level Elegance trim is reasonably well-equipped. 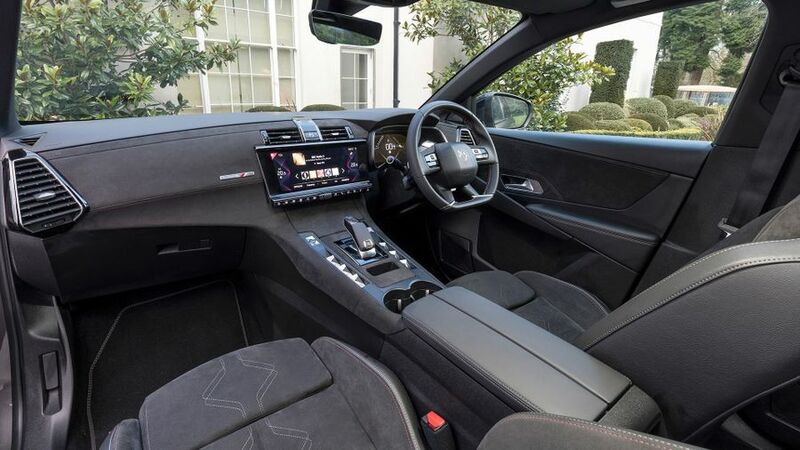 Automatic dual-zone air-conditioning, an 8.0-inch touchscreen, DAB radio, Bluetooth hands-free mobile connectivity, cruise control, automatic lights and wipers and rear parking sensors are all standard, but neither satellite navigation nor leather upholstery are included. The Performance Line trim pack – expected to be a big-seller – is a very appealing prospect, providing sat- nav with a larger 12.0-inch touchscreen, suede-like Alcantara upholstery, a configurable digital instrument panel, active headlights and, on the 180 horsepower diesel, Active Scan Suspension that can read the road surface for a more comfortable ride. The Prestige provides leather, a designer clock, a reversing camera and seats that are powered, heated, ventilated and massaging. The pricey Ultra Prestige adds semi-autonomous driving features, adaptive cruise control, a power tailgate and upgraded stereo. If you fancy something a bit different from the familiar array of premium SUV models from Audi, BMW, Mercedes, Jaguar, Land Rover and Volvo, the DS 7 is worth considering. However, it’s not particularly keenly priced, there’s no four-wheel drive option, room in the back is compromised and the ride quality is nothing special even with the clever suspension system. On the plus side, it’s quite handsome, has very a well finished interior and can be had with plenty of equipment.